The new iPhone (and new iPads') cable connector has been about as controversial as a gadget cable connector can get. It's smaller, which is nice, but it's expensive and incompatible with everything. Which is why I love this little adapter. 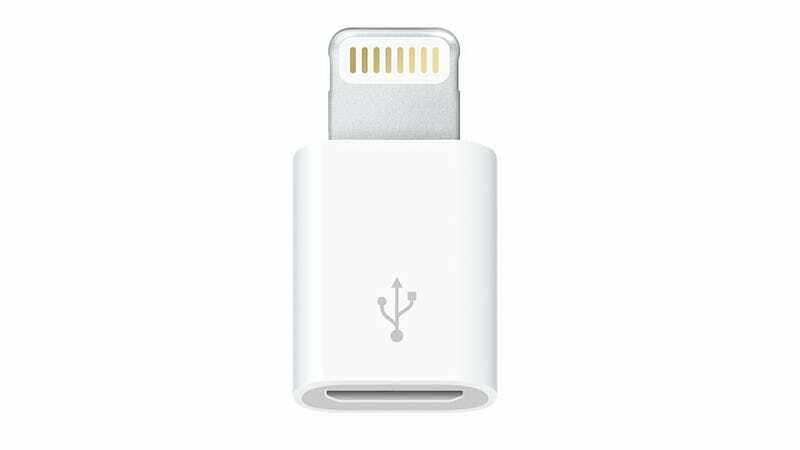 The EU already forces Apple to sell this adapter, which will turn any Micro USB cable into an iPhone and iPad compatible Lightning connector, because the EU realizes how dumb it is for every smartphone not to use the same cable to charge and sync. But here in the Yankee Wild West, Apple is free to stick proprietary everything and everything. But now it's selling the adapter here, too!